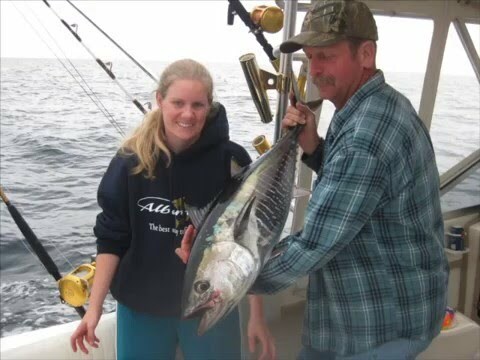 On September 29th 2012 we ventured offshore in Ocean City, MD on the "EMMA LOUISE" to find one of the hottest wahoo bites of the year. We went 1 for 3 on whites, caught 2 wahoo, and bailed 6 dolphin from a weed line we found in the madness. We also lost a nice yellowfin at the boat.. Overall, it was one of the best days of the year !! White Marlin in Ocean City, MD aboard the "KRISTY ANNE"
September 1st 2012 we ventured offshore to go 1 for 5 on whites and lost a blue marlin.. a great day of fishing with tons of action!! 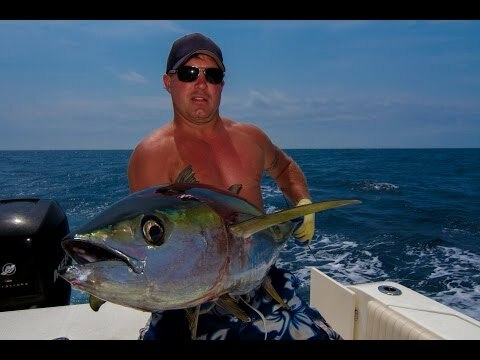 This is the trailer to the movie The Boyz On The Bonz who fished with Capt Mark Radcliff aboard The Fish Bonz O.C. Md. This was my time offshore since the baby and it happened to be my birthday!!! Great day with 4 beautiful yellowfin tuna and a nice Mahi Mahi!!! 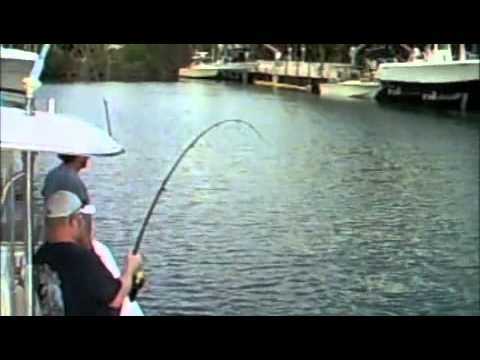 July 20, 2011 - Fishing on the "Pelagicide" with Brian Behe & DJ Kazmaier. DJ's first white marlin & yellowfin. Moore Bills Sport Fishing crew from Ocean City Maryland joins the "Billfish" in Mexico for some Wahoo and Billfish action. Bluefin tuna caught on the Lady Luck out of Ocean City, MD. 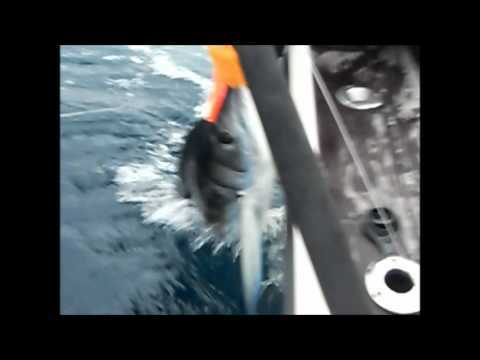 White marlin caught on the Lady Luck out of Ocean City, MD. 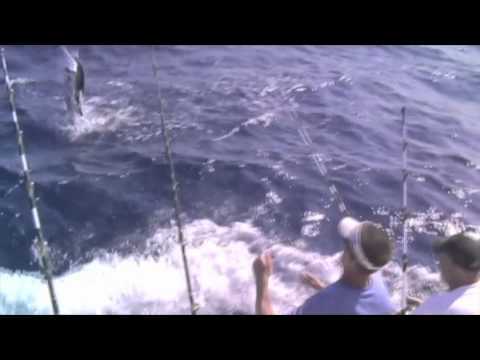 Blue marlin on the Lady Luck out of Ocean City, MD. The "Cah Ching" brought in a 612+ lb. 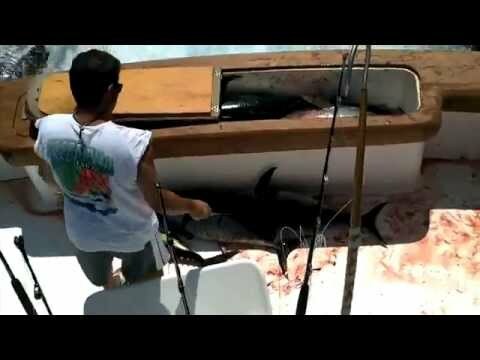 thresher shark to the scales at Bahia Marina on June 5, 2010. The crew on the "Get Sum" ventured out to do some shad and flounder fishing on May 7, 2010. 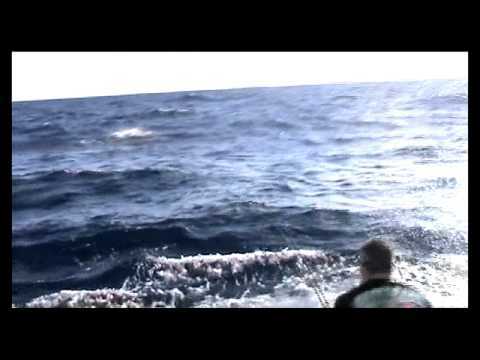 Erik Windrow and Larry Jock go head to head striper fishing. 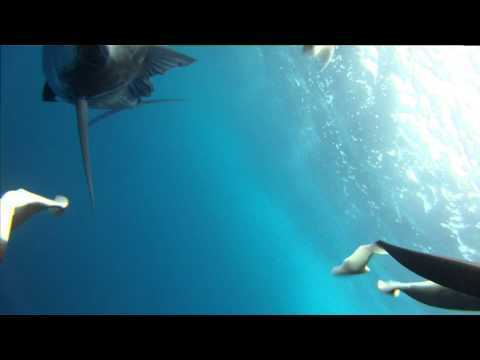 A short clip about a giant tuna on a rainy day... the crew are very tired. 540 lb. massive bluefin. Ben Pollmeier is dared to sit in a bait tank for one minute at the Ocean City Fishing Center. One of the worst storms to ever hit Ocean City, MD was captured on film by Craig Constantino. The storm lasted 3 days and wind gusts up to 75 miles were recorded. Mason McMullen of Middletown, DE caught a 101 pound wahoo while fishing on the "Rhonda's Osprey" out of Sunset Marina on September 20, 2009. 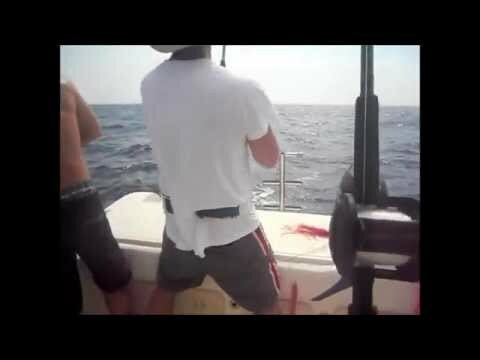 The anglers were fishing with Capt. Joe Drosey, Capt. Mark Hoos, Jr. and Mate Chris Ragni. The wahoo was caught on a trolled ballyhoo in 50 fathoms in the Baltimore Canyon. September 19, 2009 - A Good Samaritan rescued eight people who were aboard a sinking 48-foot boat 55 miles east of Cape May Saturday. The Coast Guard received a call at 11:17 a.m. from a crew member aboard the American Lady reporting the sport fishing boat Always Late was taking on water and the crew needed assistance. The Coast Guard issued an urgent marine information broadcast to mariners and four boats responded to the broadcast. Good Samaritans aboard the sport fishing boat Marli arrived on scene and rescued seven of the crew members aboard the boat. One crew member remained on the sinking boat in an attempt to salvage it. A rescue helicopter crew from Coast Guard Air Station Atlantic City, N.J., arrived on scene and lowered a rescue swimmer with a pump to assist the crewman in controlling the flooding. The rescue swimmer and the crewman were unable to control the flooding and had to abandon the boat. The Marli rescued the remaining crew member. 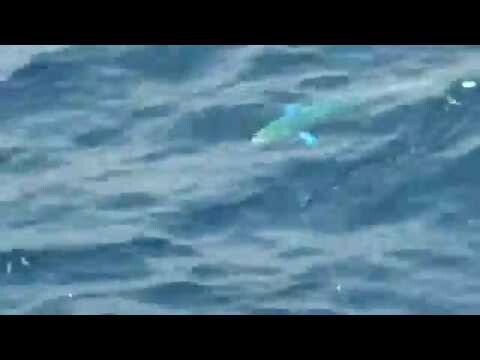 Video courtesy of the Coast Guard (http://cgvi.uscg.mil). Angela Lamplugh released her first white marlin, estimated at 75 to 80 lbs., while fishing on the "Reel Naughty" in the Wilmington Canyon. Capt. Guy Talbot was running the boat and Mate David Walker was working the cockpit. August 8, 2008. The Depth Charge, ran out from the Indian River Inlet and headed to the 19th Fathom lump hoping for a bluefin tuna. A huge storm blew up in the morning with thunder, lightning even a waterspout sighted. 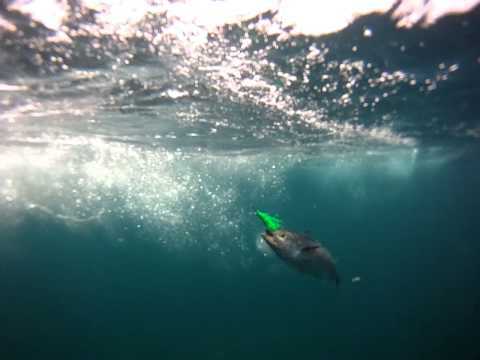 By about 3pm the seas had laid down beautifully and we made the call to head back to the Lump. Good call. Within 30 minutes we were hooked up. 7/0 circle hook with a large live spot. Total fight was 1 hour and 15 minutes. 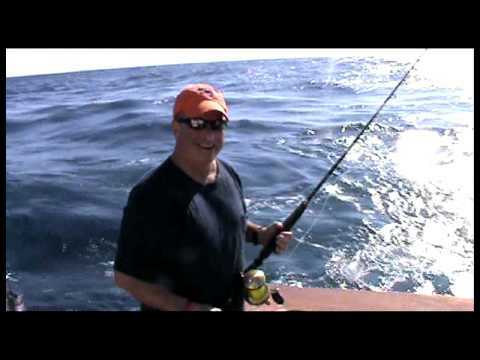 One of the first tuna trips on the Depth Charge. An overnighter to the wilmington canyon and a bit beyond tested the range and capabilities of the Depth Charge as well as the comfort factor. A good productive trip as well as a learning experience. The Coastal Fisherman crew, along with Michelle Clemente and Craig Costantino, fished for striped bass on the "Playmate" with Capt. Willie Zimmerman. The trip was on April 24, 2009 out of Hoopers Island, MD. The Coastal Fisherman crew spent an afternoon striper fishing on the Marli with Capt. Mark Hoos and mate Mark Hoos, Jr. out of Solomons Island, MD. I have been hearing about these guys for the past couple of years and finally got a chance to see them in action. Every year a group of Harbor seals visit Ocean City Maryland and hunker down for a couple of weeks for a bite to eat and some well needed rest. 3 hour tour... Maybe 6!! Great day on the water with Captain Willie Zimmerman. A little cloudy but the fish didn't mind!! Ever want a killer charter out of Solomons Island, give big Will a ring and hook up a great day fishing on the Playmate. The playmate runs out of Solomons till late spring and than off to OCMD. This trip took place on July 23, 2008, about 40 miles to the right of Ocean City, MD. The fish I caught is a blue fin tuna, and it tasted DELICIOUS. As they say, a bad day fishing is better than a good day at work!! If your ever up for hanging in the rain on the Chesapeake bay catching some whacked out catfish I have the spot for you!! Although the rock usually run on my buddies dock I had a great time busting his chops when the the only thing to keep the day going were these ferocious felines ! Fishing off the Coast of Ocean City Maryland. Blue fish were running strong and a blast to catch. Believe it or not, Blues are great eating when prepared the right way and fresh out of the water.